April and May is a busy period for many listed companies, announcing their 1Q results. I will try my best to cover companies important at least to me. One of them is Vallianz as follows. Record revenue increase of 10x vs 2013 to USD27.7m. Mainly (89%) due to charter revenue. No one time significant gain. PAT increase 420% to USD5.5m vs 2013. Net profit margin is 19.7%. Improvement mainly from subsidiary, Rawabi in Saudi. Net cash used in operating activities was USD6m compared to USD628k a year ago. Over the quarter, the company raised more than USD170million through new loans, issuing of new shares and redeemable convertible capital securities. Optimistic outlook in the oil and gas industry. The capital raised is mainly used to acquire more vessels for its business. Bidding for projects amounting to ~US$1.2 billion in Asia, Middle East, and Latin America. Entered into a strategic collaborative agreement with one of China’s first class shipyard to secure long term vessel charter for up to 200 vessels. Has young and best-in-class fleet of 28 offshore support vessels and intends to boost its vessel fleet to at least 50 vessels by 2016. High risk high return. In similar fashion but conversely, high risk and high gearing can mean high damage, especially in times of crisis. Vallianz is one of the first few oil and gas stocks I owned with an average buy price of single digit cents. I know the company well and was once my biggest holdings. After the high debt undertaken recently, I decided to divest, to retrieve some of my initial invested capital leaving behind mostly profits. From the outlook and fundamentals, prospect of Vallianz is still extremely bright. It also has backing from Swiber and Rawabi. 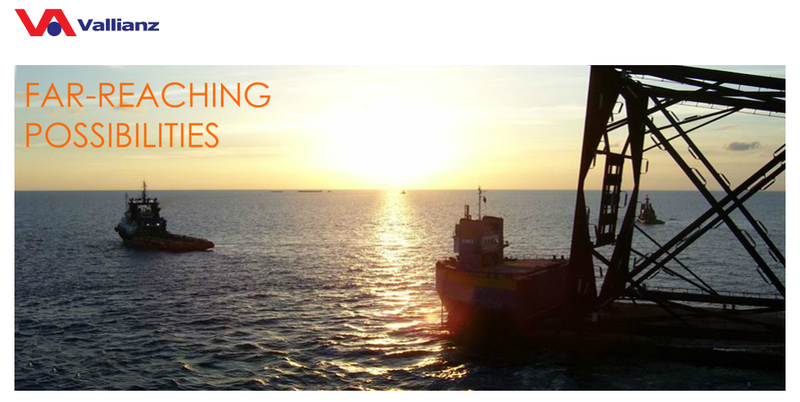 Swiber possessed good track record of turning one of its earlier subsidiaries Kruez Subsea into a double bagger. In my opinion, the management of Vallianz is also at the right age to accelerate growth of the company coupled with integrity, drive and hard work. In a nutshell, be conservative and monitor the industry and company closely since this is high growth but cyclical stock. It is better to be safe than sorry! Nevertheless, unless unprecedented catastrophic events take place, I still give two thumbs up for this company! Much obliged much for your post, it impacts us to have a consistently expanding number of circles for the duration of our life, and so kind for you, I in like manner believe you will make progressively incredible post and permits progressively talk, much obliged, dear. Invest Early - to achieve your own 4 "Water Taps"